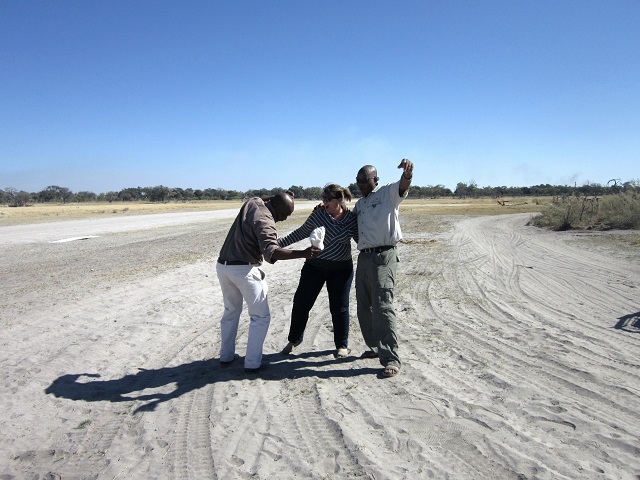 Dance party on the Air strip! It was really hard for me to leave Camp Pom Pom. Not only because of the beauty of the place and magnificent wild animals. The hardest part was saying good bye to my new friends, particularly Rams and Major who had been my constant companions for three full days. And I wasn’t the only one wishing I didn’t have to go. During our morning game drive Rams threatened several times that he was going to get lost and we wouldn’t make it back in time for our flight out to Kwando Camp Lagoon. I would just have to stick for another day or two! It was certainly nice to feel wanted. In fact, that morning before we headed out on our game drive I went to join all the guides, trackers and polers who were huddled around the fire for warmth to say a quick goodbye. It took me ten minutes and I couldn’t depart without giving each of them a hug. It seems that I had left an impression on each and every one of them. I guess you could never call me a wall-flower. In fact, one member of the staff called me “a bouncing bundle of joy”! 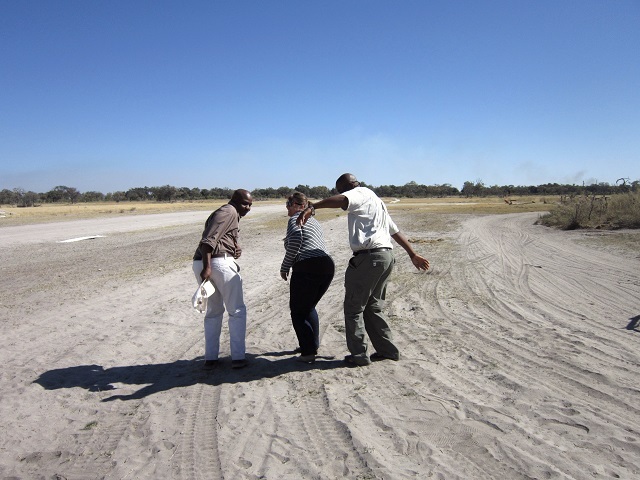 But alas the time finally came when we needed to head out to the air strip and ensure that Pom Pom International run way was clear of wildlife so that it was safe for the plane to land. This inspection involves driving from one end of the run way to the other ensuring that there were no beasts lurking either on the run way or in the bushes down it’s sides. Once we had completed our inspection, Rams parked the truck and we got out to stretch our legs. 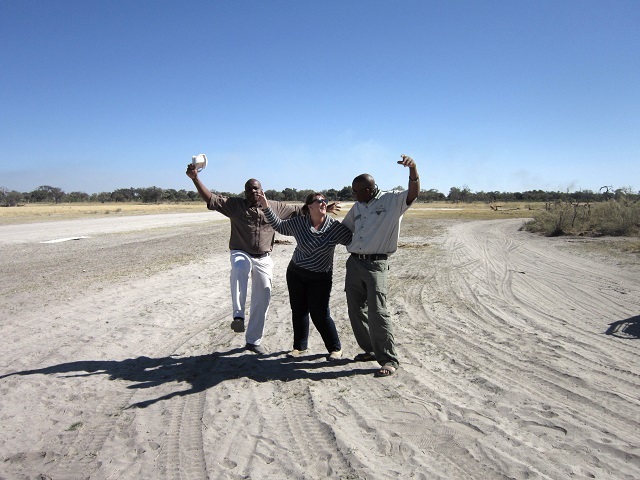 Well, you know me, one thing lead to another and before you know it Rams, Major and I are having our own private farewell dance party on the air strip! Proving that I really can dance any where!